Vogel Prep’s Education Center in Scottsdale offers a personalized plan to help students earn top test scores, top grades and instill confidence and optimism. Tutoring services focus on preparing elementary and middle school students for success in high school and high school students to maximize class achievement and successful test results to increase opportunity for college admittance and scholarship. Vogel Prep is the only company that hires tutors that are credentialed and experienced teachers that hold master’s and PhD recognition in their respective fields of study. · Direct parent feedback from tutors within 72 hours of sessions. 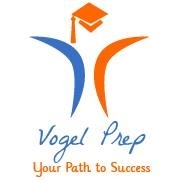 Visit us, call us at 480-990-7374 or email us at Info@vogelprep.com to understand what Vogel Prep Educational Services is about.